A prison meant to be a Paradise that can talk. That is the most exciting book I could have picked up the start of last week. Finally after reading this and my fairytale book I have completed this one. Finn is one of the main characters and is the "prisoner." He is a starseerer- a person that is a child made of Incarceron. Like the legends of Saphrique- The Nine Fingered-One Finn will find the way out of the prison. 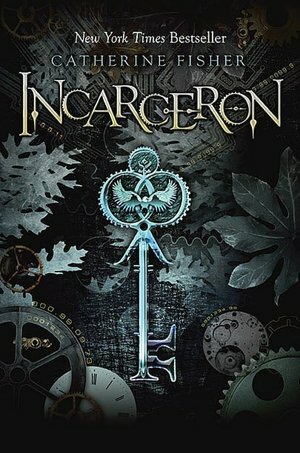 Claudia is the daughter of the Incarceron Warden-the keeper of the key. Claudia is engaged to be married not once but twice because the first man was a boy when he died. This new guy-the brother- is the exact opposite and in now way shape or form did I like him. Claudia is a stubborn girl who watches the manor when her father is away on business.